The Premier League season is now drawing to a close however there are still plenty of meaningful games and some excellent betting opportunities. Below I have previewed two of the televised matches and recommended two bets which I perceive to be excellent value. The late Premier League game on Saturday takes place in Manchester as Manchester City host Aston Villa at the Etihad Stadium. Amazingly Manchester City are fourth in the Premier League table after a really poor run of form, they’ve lost six of their last nine matches in all competitions. I think it’s likely that Manuel Pellegrini will get sacked at the end of the season. 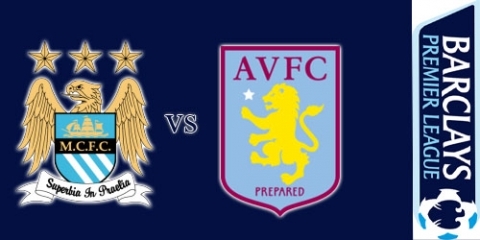 Manchester City’s opponents, Aston Villa have improved as of late under new manager, Tim Sherwood. Villa have won five of their last eight matches and that includes a victory over Liverpool in the FA Cup semi-final last weekend. The squad’s confidence must be high and I’m slightly surprised to see Aston Villa priced as huge underdogs this weekend. Villa’s performance against Liverpool was excellent, based on that it’s hard to believe that they’re 15th in the Premier League table, however they look a much better side under Tim Sherwood. Villa’s success has largely been down to Christian Benteke, if the talented Belgian is at the top of his game Villa have every chance in this match. Since Randy Lerner appointed Tim Sherwood as Villa manager, Christitan Benteke has scored more goals than any Premier League player. My recommended bet for this fixture is Aston Villa double chance at a very generous price of 3/1. I think it’s worth noting that Manchester City are missing Vincent Kompany and the likes of Wilfried Bony, James Milner and David Silva may not feature.